This site is a continuing work in progress. There are a few images of very poor quality (remnants from a low quality microscope/imager) that have not been replace yet. Other images have not yet been reduced to thumbnail images, and the full scale image is downloaded and reduced for the ‘thumbnail’ seen on the page. These are my highest priority for correction. Please let me know if you find one; I am one, and there are over 300 pages and hundreds of images. Similarly, if you download and save pages for reference, please come back every few months to get the latest updates. I am continually checking data and making corrections to ensure its accuracy. Also, I add images, observations and historical notes as they become available. HTML – To keep the pages accessable to the greatest number of web-browsers, only a most basic set of tags for HTML 4.0 were used. There are no scripts, Java scripts (other than the crystal images), frames or similar advanced HTML structures used. This also makes it simple for me to make changes to the pages, as they were created using only the Windows(tm)Wordpad(tm) program, and checked using Microsoft’s(tm) Internet Explorer(tm). This also means that the spelling checker is me, so expect some errors. The information on this web-site is compiled from many sources. The most important source of information being http://www.webmineral.com. This site has proven to be an invaluable mine of information. Additionally, the http://www.mindat.org has provided much information on many of the properties and alternative names of these minerals. I have not tried to duplicate their database on localities, but instead refer you to their pages for localities where these minerals are known to have been found. 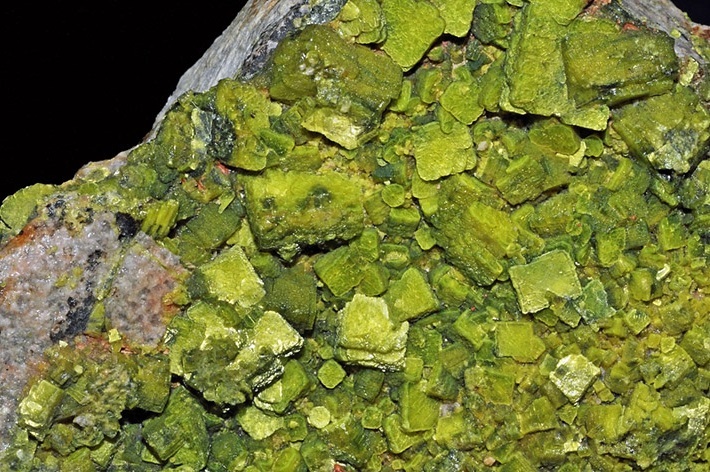 Another valuable source of information of the geochemistry of uranium and thorium minerals is the U.S. Geological Survey bulletin 1064, Systematic Mineralogy of Uranium and Thorium. Dana’s New Mineralogy has proven to be very valuable in verifying much of the data listed in this site. The best reference that I have found, to date, is Minerals and their Locations, by Jan H. Bernard and Jaroslav Hyrsl. I have found information on minerals there that is unavailable elsewhere. Copies of all three of these texts may be purchased from Mineralogical Research Co., as can many other useful references. They also have provided some very interesting specimens, especially of uraninite petrified wood (see Uraninite specimen #5 – it even has petrified bore holes from insects!). Some of the information presented on this site are from my own observations of the minerals. To provide both an indication that this is from my observation, and how relevant the information may be, I have also given the number of specimens I have examined for the property in question. I owe many thanks to Luc Vandenberghe of Belgium, a fellow connoisseur of radioactive minerals, for providing considerable information on new minerals, as well as adding to and correcting the name sources of many minerals. He also pointed the way to additional sources of information on all minerals – the International Mineralogical Association Commission on Museums. Dr. Rob Lavinsky of The Arkenstone is another excellent source of the high quality specimens of many rare minerals shown. I would recommend his site to all, including those who are not interested in obtaining a specimen, as the images on his site show just how beautiful even common, everyday minerals can be. David B. is the instigator of this web-site, and I owe him a debit of gratitude for his encouragement and time over the past several years. My thanks must also go to Sharon of Mineralogical Research Co., Paul of Beyond4cs and Dr. Rob Lavinsky of The Arkenstone for their encouragement in creating this web-site, and help in finding unusual, high quality specimens to photograph and display here. If you have a digital image that may be of value, or information on a mineral that is not available on this web-site, please feel free to contact me at contactaturaniumminerals.com(I appologize for not providing a direct e-mail link, the spam harvesters, to date, are ignoring text based links). 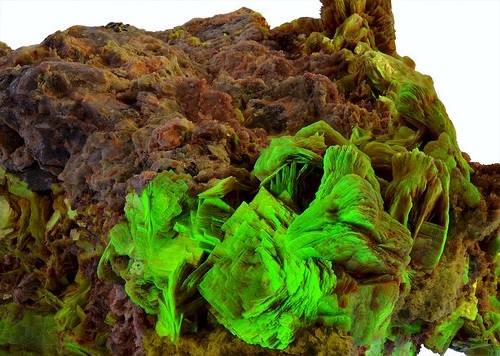 In particular, I am interested in new or corrected definitions of geological, and uranium/thorium mineral related terms, and images that will help illustrate them. I ask that the image be your own (you own the copyright). Its use will include a credit to you, and if you desire, a link to your web-site or e-mail address (I recomend e-mail addresses be in the form of text that can be cut and pasted into an e-mail address line). Images should be in JPEG format if possible, color, and no smaller than 800×600 pixels, if possible. Any useful images will be welcomed and examined for use. The use of an image will necessitate the creation of a 100×75 pixel thumbnail, and if large, and intermediate sized image, all of which I can do. If in a format other than JPEG, I can convert to JPEG format. No other processing will be done without the owner’s permission. All images on this site are copyrighted. They may be used under the fair use rules for copyrighted materials. Commercial use of any sort, without the permission of the copyright holders, is not permitted. Contact the copyright holders before using their material. Images may be downloaded, saved and printed out for private use only. They may not be sold, traded or bartered. They may be given away only as a gift. This applies to all formats and media. If you plan on making color prints of any images for use as artwork, please let me know. I have specially formatted images with a white border, which includes the mineral name and location of its find, of many of these images that I have created for others. You may find these to be better than those used on this website. These images are available, for free, for use in text books, technical articles, research papers and similar scholarly works, including at the university level. Please contact me if they are to be sold, as I would like to be provided, if possible, a single copy of the work, in either printed or electronic format, for my own education. I have permitted free use in news articles that were informational and educational in at least some of its content. Please contact me for use of these images on another educational web-site. I will usually grant permission for their use provided my copyright and the source location of the specimen be included on the site. The same applies to the pages on this site. However, the information itself is not copyrighted, and is free to all. I would suggest that the sources given above be checked to verify that no mistakes have been made in transcribing the data. Feel free to link to these pages. People who have attempted to download this web site in its entirty have quickly realized that it is quite large – nearly 2500 files, mostly images. Normally, I do not provide copies of the site on DVD, but will do so for teachers, professors and professional mineralogists. I ask three things: you make copies for others; these copies are not to be charged for, except that you may require blank media in exchange; and the date on the master copy be placed on the copies made for version tracking. For non-educational commercial use of these images, please contact me. I would likely grant permission with little or no compensation in return. The specimens whose images are shown on this site are Not! available for sale, trade or barter. When they are no longer of use, they will be donated to one of two educational institutions. Sorry.